Oktubre | 2013 | Sana Ako si Ricky Lee! The response to the FOUR DHARMAKAYA RELIC MANTRAS is simply overwhelming. If you’ve emailed me and I haven’t responded to it, I would like to ask for apologies. Aside from the regular emails that I receive and emails that I receive about the WISH FULFILLING AND BUDDHA’S BLESSING MANTRA PENDANT, now I also receive emails about THE FOUR DHARMAKAYA RELIC MANTRAS. I was surprised that a lot of people are familiar with THE FOUR DHARMAKAYA RELIC MANTRAS but haven’t had the chance to acquire one that has been directly blessed by a monk. What makes me really happy also is that I also received a lot of emails that are concern about making a donation to the monks. By the way, if I haven’t responded to your email, please don’t hesitate to resend it again, sometimes I am unable to go back to older emails that I haven’t read, so it is better to resend. Apologies for the hassle. 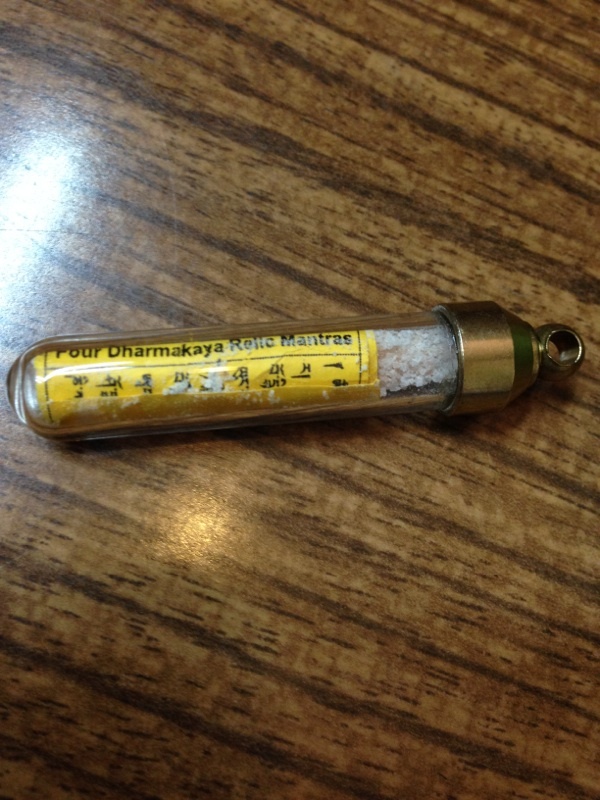 I decided to put THE FOUR DHARMAKAYA RELIC MANTRAS inside a test tube type glass holder that I bought in The Bead Shop, then I included the incense ash, Pink Himalayan Salt inside before sealing it. Thank you to DU, a reader and friend who took this photo. One of the emails that I received asked me whether THE FOUR DHARMAKAYA RELIC MANTRAS is only effective if it’s worn as an amulet. Allow me to share the other ways one can tap into the powerful blessing of the FOUR DHARMAKAYA RELIC MANTRAS. According to Lama Zopa Rinpoche, to make the image of Buddhas and Bodhisattvas more blessed, it is highly advisable to put a copy of the FOUR DHARMAKAYA RELIC MANTRAS inside the image of they’re hallow. 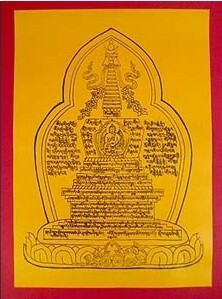 One can also put a rolled up copy of the FOUR DHARMAKAYA RELIC MANTRAS at the base of the image. Personally, what I did is put the copies of the FOUR DHARMAKAYA RELIC MANTRAS inside an amulet holder and place it at the base of our Buddha or Bodhisattva images at home, with the other I decided to put a string and adorn it like a necklace to the image of the Buddha or Bodhisattva. Also having the FOUR DHARMAKAYA RELIC MANTRAS on your front door, or living room will ensure that your house is protected from a negative chi. One is also going to be protected from negative wandering spirits. Just make sure it is in an amulet holder, or pouch, if you’re not getting it from this blog. Hanging a copy of the FOUR DHARMAKAYA RELIC MANTRAS in your dining room even its inside an amulet holder will ensure that your family will constantly be bless with wealth. In our own house, we have a copy of the FOUR DHARMAKAYA RELIC MANTRAS inside a glass amulet holder on all our windows. This is to ensure that we always attract good chi and that negative chi are neutralize right away. A few days ago I wrote and introduced you to the possible wonderful blessings of THE FOUR DHARMAKAYA RELIC MANTRAS, and the response has been truly overwhelming. Of course, regular readers are well familiar with WISH FULFILLING AND BUDDHA’S BLESSING MANTRA PENDANT, and the several personal testimonies of people who has requested for it. Sometimes, between THE FOUR DHARMAKAYA RELIC MANTRAS, WISH FULFILLING AND BUDDHA’S BLESSING MANTRA PENDANT, and the WEALTH AND MASTER PROTECTION PENDANT, which, unfortunately is no longer available for requests because of its price, I believe that there is no more excuse for us to go through any form of suffering. The truth Feng Shui, Taoism, and Buddhism has a lot of deities, Buddhas, Bodhisattvas, not to mention power of symbols and mantras that can help alleviate us from any form of suffering. However, why do many of us still suffer? Many of us still go through some form of suffering because of either of two things. One, it can be due to the fact that our house Feng Shui is bad, or it can be also due to karma, whether past life karma or recent karma. When I say recent karma, I refer to karma that is sowed during this current lifetime. Nevertheless, still, we have a lot of Bodhisattva who have vowed to help uplift us from any form of suffering. First, of all these Bodhisattvas is the Goddess of Mercy, Kuan Yin or Avalokitesvara in Tibetan Buddhism. 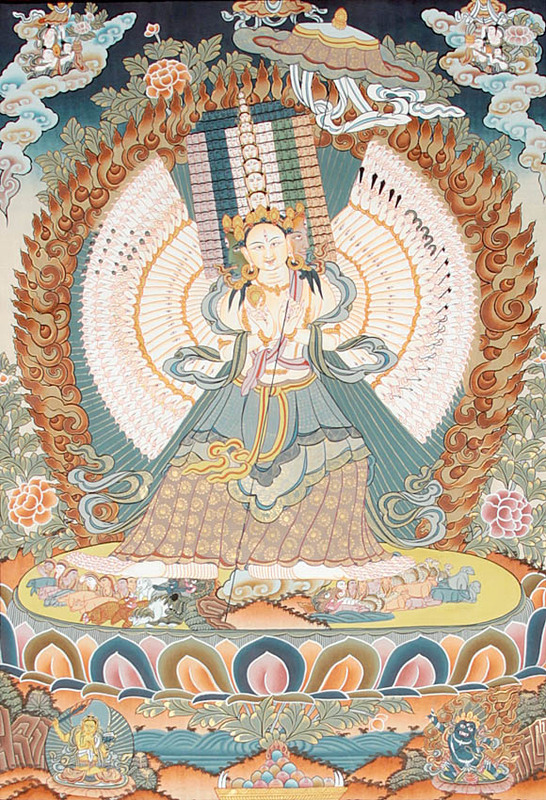 She remains to be the most popular and revered Bodhisattva. In fact, often times she’s referred to as the Bodhisattva of Compassion or Buddha of Compassion. 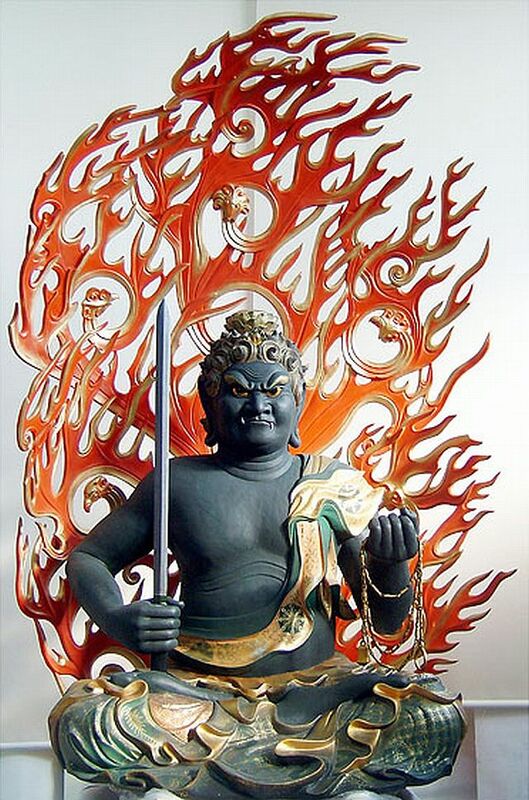 Today, allow me to introduce to you another such Bodhisattva, who in reality is already a Buddha but vowed to stay on as a Bodhisattva until such time there is no longer any soul in hell. I’m referring to Ksitigarbha Buddha, who again is actually a Bodhisattva. 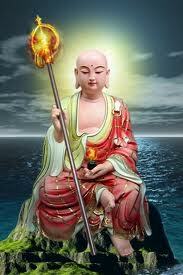 Ksitigarbha Buddha, is usually depicted as a Buddhist monk, and for bigger temples, he usually has his own temple hall. In the Philippines, and smaller hall he is usually placed at the memorial halls of the dead or mausoleums this is because of his vow to save people from hell. Personally speaking, I believe this is a limitation of how Ksitigarbha should be perceived. A lot of Filipino – Chinese Buddhists thinks of Ksitigarbha only as a Bodhisattva of the souls of the dead. While it’s perfectly true and accurate, this belief doesn’t paint the whole picture of who Ksitigarbha truly is. Ksitigarbha Buddha or Dizang P’usa (also spelled as Ti Tsang P’usa, he is also called in Chinese as Dizang Wang P’usa or Ti Tsang Wang P’usa). There are a lot of translations of Ksitigarbha’s name in English, but the most common one is Earth Store. 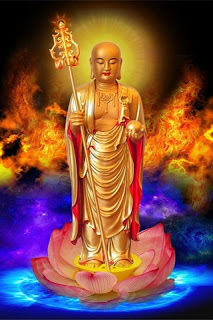 Ksitigarbha Buddha or Ksitigarbha Bodhisattva is known for his vow to take care take responsibility of souls that are experiencing hell. This is where the translation becomes a little muddy; because some people took it to mean the literal hell, and while they are not incorrect, they’re not entirely correct either. I personally believe the other translation, hell means suffering, whether these are the souls that are suffering when they are in – between transitions from one earth life to another, or it is suffering because of what we are going through here on earth. Some people seems to have forgotten that Ksitigarbha’s vow is to take responsibility for the enlightenment of all souls in the six worlds between the physical death of Gautama (Sakyamuni or Shakyamuni) Buddha (also known as the Historical Buddha) and the rise of Maitreya Buddha (also known as the Happy Buddha or the Future Buddha), with this vow is the vow of not entering Buddhahood until all hells are emptied. 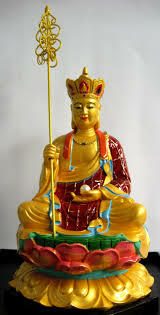 I mentioned earlier that Ksitigarbha Buddha is second to Bodhisattva of Compassion, Kuan Yin in terms of ‘popularity’ and followers to East Asian Buddhist. 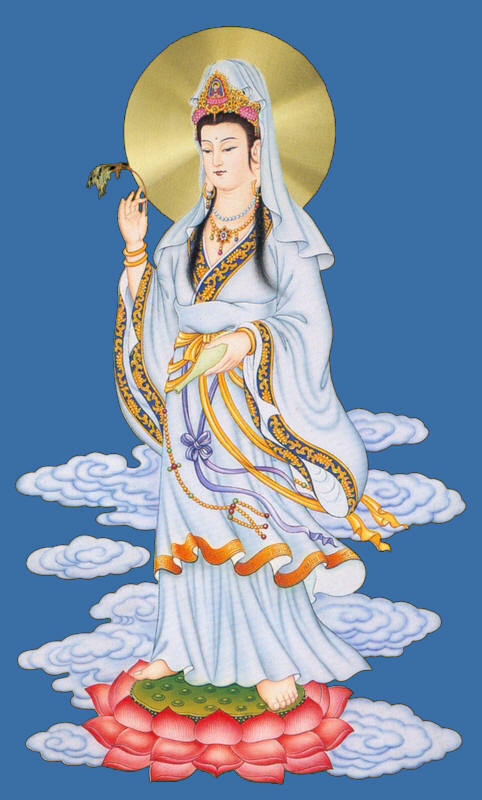 What’s striking is that Kuan Yin, became a woman in China from the male form of Avalokitesvara. Ksitigarbha also had a transformation of gender, however with Ksitigarbha, he was she before she became a he. 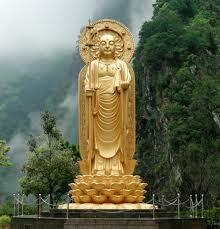 Also, unlike Kuan Yin, it is believed that Ksitigarbha really became a human being. Much of what we know about Ksitigarbha Buddha or Ksitigarbha Bodhisattva is base on his own sutra, Ksitigarbha Bodhisattva Purvapranidhana Sutra, which is one of the most popular sutra in Mahayana Buddhism. It is said to have been spoke by Sakyamuni Buddha himself to the Trayastrimsa Heaven towards the end is earth life. To this day it’s not clear whether the Ksitigarbha Bodhisattva Purvapranidhana Sutra has an Indian or Chinese origins. It was first believed that Tipitaka Master Siksananda, who is a famous Buddhist monk from Khotan who also provided a new translation of the Avatamsaka Sutra and the Lankavatara Sutra, translated it from the Sanskrit into Chinese during the Tang Dynasty in the 7th century. However, among all the sutras, Ksitigarbha Sutra strongly advocates filial piety, w/c was stereotype associated with Chinese culture. 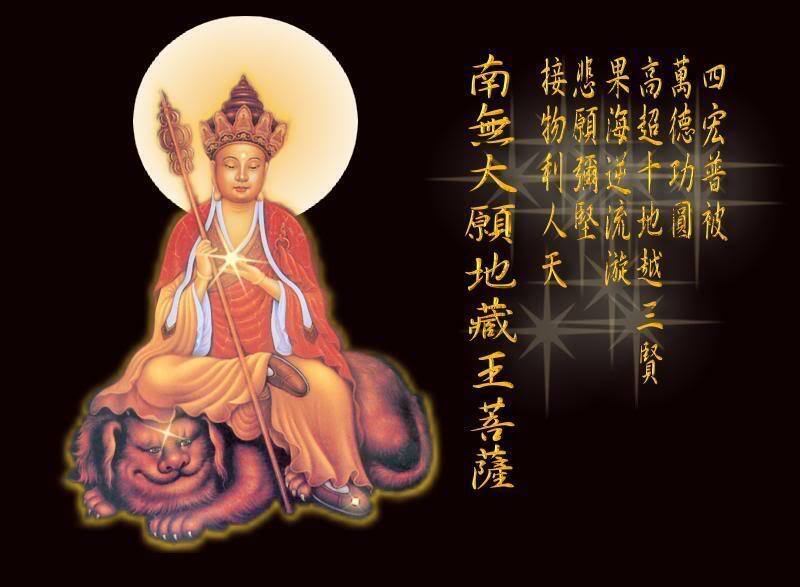 It talked about Ksitigarbha’s filial piety as a human or mortal, which lead to great vows to save all sentient being. Furthermore, no Sanskrit manuscript of Ksitigarbha’s sutras was ever found, which strengthen the belief that it is of Chinese origin. According to his sutra, Ksitigarbha was a maiden in the distant past eons. He or she was of the Brahmin caste named Sacred Girl. She was said to have shown love and respect towards her parents, especially her mother. When her mother died, Sacred Girl became deeply troubled because her mother had been very slanderous towards the Triple Gem. Wanting to save her mother from the tremendous tortures of hell, Sacred Girl sold everything she has to buy offerings for the Buddha of her era. The Buddha then is known as the Buddha of the Flower of Meditation and Enlightenment. Remember that Sakyamuni Buddha was then still a Bodhisattva. 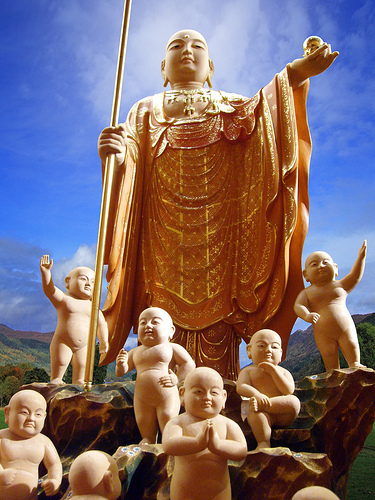 Some Buddhists, specially in japan and China (where the one child policy is forcing women to commit abortion), Ksitigarbha Bodhisattva is considered as the Bodhisattva for the souls of babies who died. Sacred Girl would always make offerings and recitation of prayers to help save her mother’s soul. One day, while she was making an offering and prayers at the temple, she heard the Buddha of her era telling her to go home and recite his name in meditation if she truly wants to know how her mother was in the other world. She did what she was told and her consciousness through a vision was transported to a realm of Hell. There she met the guardian of hell who informed her that through her offerings and fervent prayer, she has helped her mother accumulate enough merit to negate her karma and she has ascended to heaven where she awaits to be reborn. Sacred Girl was greatly comforted with this; however, she saw the suffering to the souls in Hell, which greatly affected her. She then made a vow to do her best to relieve the beings in hell of their suffering in her future lives. It is normal that people will call Ksitiagrbha a Buddha even if he is actually a Bodhisattva. 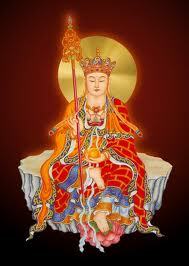 That is because like Kuan Yin, it’s his choice to remain a Bodhisattva to help suffering people and sould. At this time Sacred Girl is already considered as living Bodhisattva, much like how some people consider the Fourteenth Dalai Lama and Lama Zopa Rinpoche to be a living Bodhisattva. When Sacred Girl left her physical body and went to heaven, she was given the chance to go back so she can start her vow to save souls. This time she chooses to be male monk. Before he left heaven to assume his new life as a monk, he found that her mother when she was still Sacred Girl would also go back to earth to take a life of a dog; this is because she has to earn a lesson from being slanderous about the Triple Gems. Ksitigarbha as a monk seek out Sacred Girl’s mother who is now a dog. 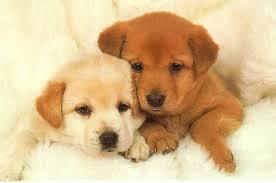 The dog often acted as Ksitigarbha’s guard, which is a way for Sacred Mother’s mom to repay Sacred Girl’s love. Ksitigarbha Bodhisattva is popularly depicted in two ways, one as a bald monk and the other one as a monk who wears a Five Leave Crown. He is depicted either seated or standing up on a lotus base. On his right hand is the Ringed Staff, which is carried by a lot of monks during his time. The Ringed Staff is also called the Alarm Staff; it is used to warn animals and insects that he is arriving so that he can avoid harming them by unintentionally stepping on them. In Feng Shui the ringed staff has come to symbolize the announcement of an impending danger. On his right hand is the Wish Fulfilling Jewel, which actually is a pearl. The Wish Fulfilling Jewel symbolizes the fact that Ksitigarbha has ability to help us fulfill our wishes. The Wish Fulfilling Jewel becomes a Fireball to help subdue negative energies such arguments or fighting. So it is not surprising that in some temple, you’ll see Ksitigarbha holding a round ball signifying the Wish Fulfilling Jewel, while in other he holds the Fireball. These two are actually one and the same. In Feng Shui, the Ksitigarbha fireball signifies the taming of arguments and fighting. 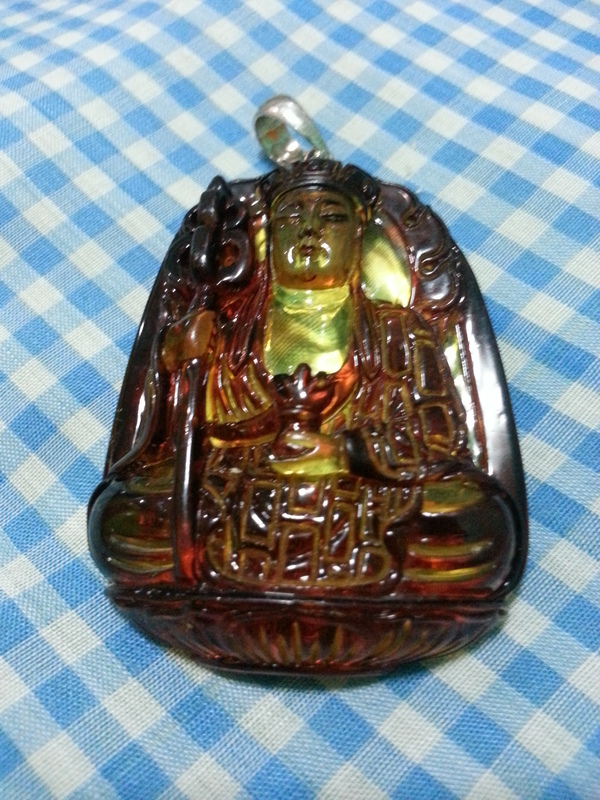 Having an image of Ksitigarbha Bodhisattva at home or as a pendant, will help people who are going through some hardships, Ksitgarbha will help make things better. 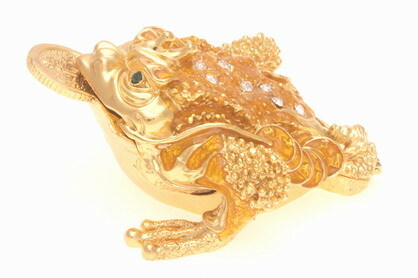 Furthermore, having his image at home or as a pendant will also help people deal with the compulsion or addiction. Addiction and compulsion are a form of hell and suffering, thus devotion to Ksitigarbha will help. People who are going through a difficult time will get some relief if they have the image of Ksitigarbha. If wearing it as a pendant, I prefer the image with the five leave crown. 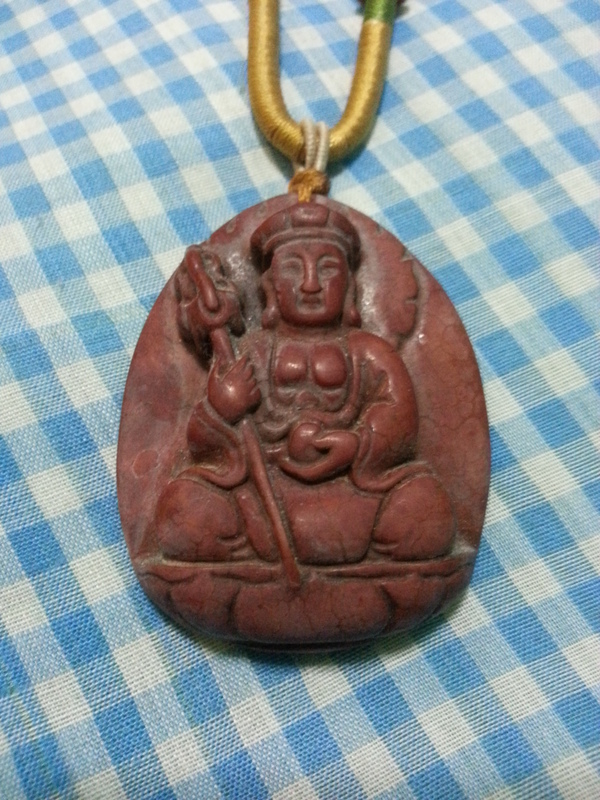 This is a rare red jasper Ksitigarbha pendant from my personal collection. If you are suffering from a fixed karma, meaning karma from your past life and as indicated on your Paht Chee or Bazi, having Ksitigarbha’s image and reciting his mantra will help eradicate this negative past karma. The mantra for this is OM PRA MANI DANI SOHA. The other mantra for Ksitigarbha Buddha is OM AH KSITIGARBHA THALENG HUM. His mantra in Chinese is NAMO DIZANG WANG P’USA. If you wish to get an image of Ksitigarbha Bodhisattva, I find that an image of Ksitigarbha made of red jasper, or red amber is the best. The one made of jade only works for a select group of people. Between the FOUR DHARMAKAYA RELIC MANTRAS, the images in the WISH FULFILLING AND BUDDHA’S BLESSING MANTRA PENDANT, GUAN YIN, KSITIGARBHA BODHISATTVA to name just some of the things that I’ve written there is no reason for us to suffer, as long as we keep our hearts pure and consciousness clean. This is a difficult post to write. I need to interrupt the very positive chi brought about by the very wonderful and positive response to the FOUR DHARMAKAYA RELIC MANTRAS and of course to the numerous testimonials about the effectivity of the WISH FULFILLING AND BUDDHA’S BLESSING MANTRA PENDANT. I’m not exactly sure whether I’m doing the right thing or not. But I just have to write something about it. 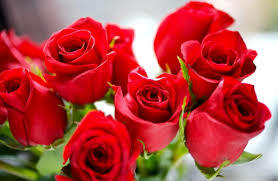 While this is my blog and I can write practically anything I want to write, I should acknowledge the fact that this blog is public and while I write about Feng Shui, staying positive and Buddhism, I’m afraid at this moment I cannot truly espouse what I write and say forgiveness is a good Feng Shui enhancer. At the moment, I’m unable to let go of something disturbing that I saw yesterday and unable to say that I’m not angry. 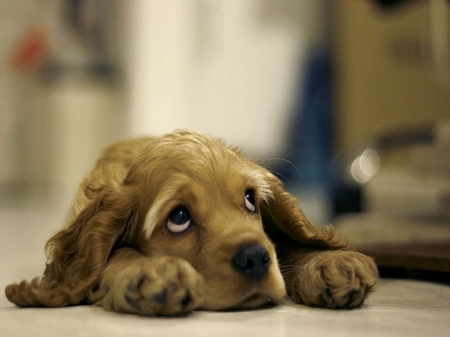 I will put pictures of puppies here. I will not dignify their perversion by showing the videos or their pictures. Yesterday, chances are, like most people who owns a Facebook account, you would have seen the disturbing video of three Asian women kicking, stepping on a puppy. And chances are like me you would have clicked on the video, watch a little and close it because it was just too difficult to watch. So much cruelty! The video I’m talking about shows three Asian women on barefoot, kicking and stepping on a helpless puppy! The video lasted approximately about 20 minutes, but I only saw about 5 minutes of it and had to turn it off, I simply couldn’t take it. 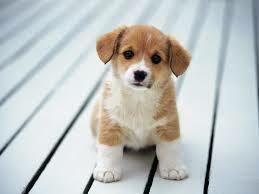 I found out later on TV Patrol (local 6 o’clock news here in the Philippines), that the puppy died! I also showed the video to a friend, but he only saw 2 minutes of it and decided that he couldn’t take it any further. 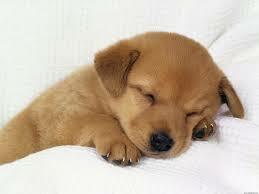 Having some puppies of my own, I really couldn’t understand how could somebody be so cruel to a helpless puppy! And this was my sentiment before I even found out that the puppy died! It’s simply crazy! To be honest, I don’t understand such cruelty. According to the news and after that when I researched about it, I found out that the video is not unique, there are several of that kind of video! In fact, there is a whole website dedicated to it! The video is called Crush Videos! Apparently Crush Videos is a form a sexual perversion! Pardon for the term and for the judgment if this is indeed judgment but I will call them perverts! Perverts can request can make a request as to what kind of animal they want crushed! So it can be a puppy, a kitten, a rabbit, etc! Also, they can request how they want it crushed!!!! Seriously, it amazed me that there is people who take sexual satisfaction in seeing women crushed animals to death! But I’m more negatively amazed and repulsed with the fact that they are people who are willing to do it! Apparently, the couple who owns such website are Filipinos!!! I don’t get it! How can they even have discovered that such an evil perversion exists! And how could they even decide to host it!!! I simply don’t understand it! I’m really sorry that I’m veering away from my usual post. I try to make all post positive but this is simply so evil and out of the radar from most people that I cannot not write about them! This has to be stopped! This has to be stopped just like all crimes have to be stopped! But we have to try and make our voice loud because the ones being abused and crushed are helpless and can’t fight for themselves! Again, I’m sorry if I seem negative here! That’s not the intention. I just hope something positive comes out of this post! When I first had my fur babies, for a day it got me worried whether I can properly take care of them. Little did I know that there are people who are so cruel that they are able to slowly torture a helpless dog to death all for their sexual satisfaction and money!!! I hope I’m not committing a sin by sincerely hoping that whoever did this to the puppy on the video be brought to justice. Be it they the paying sexual pervert, the host or the paid women who crushed the dog to death! It is almost not enough for me to know that karma will go and haunt them for what they did. I sincerely hope that they get caught and pay for their killing the puppy. I hope I’m not sinning for hoping this. I think I am but I can’t help it. I hope that I learn to be compassionate enough to forgive them, even if I don’t know them personally. But right now I hope that they pay for what they did. Last night, before putting my puppies to bed, I sincerely felt that they’re happy to be with me. It’s almost as if its in their eyes. And with the happy look of my dogs face, with their wagging tails, I was reminded that there are a lot more puppies, dogs, and other animals out there that are suffering. From here on, I commit to light incense for them, but more than that I will not just be a happy pet parent to my dogs, but I commit to do something for the neglected dogs! How I wish I had been more exemplary in terms of how I’ve written this post. It would have been better if I were more espousing forgiveness and justice. But right now, I’m being a human here. I’m unable to take the violence that I saw. If you wish to know more about Crush Videos and help stop it, please check out the STOP CRUSH WEBSITE. Today, I would like to share with you yet another wonderful story from a reader. I don’t know whether apologies are in order every time I share a story about wishes that were supposedly fulfilled through the WISH FULFILLING AND BUDDHA’S BLESSING MANTRA PENDANT. 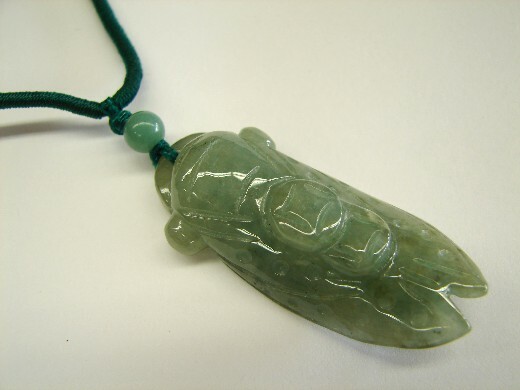 However, I’m constantly amazed by how a simple pendant that I designed out of frustration of having to wear so many Feng Shui charms became a vehicle for a number of my readers to have their wished fulfilled. This time I’d like to share the story of CA. It was CA’s mom who first contacted me, while she’s a reader, she has the advantage of not having the need to write me an email because one of her friends has previously gotten in touch with me to get the WISH FULFILLING AND BUDDHA’S BLESSING MANTRA PENDANT. According to CA’s mom, CA was an ideal daughter, almost perfect, until she met her boyfriend KT. CA’s mom believes KT was really the cause of CA’s downfall and miseries. You see CA after graduating was hired by a big company, and after 2 years she was accelerated to a higher position. In fact, everybody thought that CA would fast become a manager of their department. But then as fate would have it, she met KT. KT works in the same company as CA does, but KT is still on probation. According to CA’s mom, it was a short courtship, and KT became CA’s first boyfriend. Soon after they became partners, CA started taking long leaves to go out of town with KT, and when she ran out of leaves, she started being absent from work. Her officemates and her bosses started to complain how unreliable she was. In fact, one of her office friend became so worried about CA that she even talked to CA’s mom. CA’s father started getting worried and angry with CA, but both mom and dad tried to save their daughter, until CA got pregnant, that’s when CA’s dad stopped talking with her. But the saddest part, KT who was the cause of CA’s behavior change left her when she got pregnant! Furthermore, CA was fired from her job. When CA’s mom contacted me thru another reader who has grown to know me quite well, CA’s baby, her daughter, was already a year and 8 months old. She said, CA started looking for a job three months after she gave birth but she found out that since she has a bad record from her previous company she find it hard to get a good job, so she has to contend herself with smaller companies who don’t require documents from her previous employers. But other than the less than ideal job, CA was also still in love with KT and tried winning KT back. 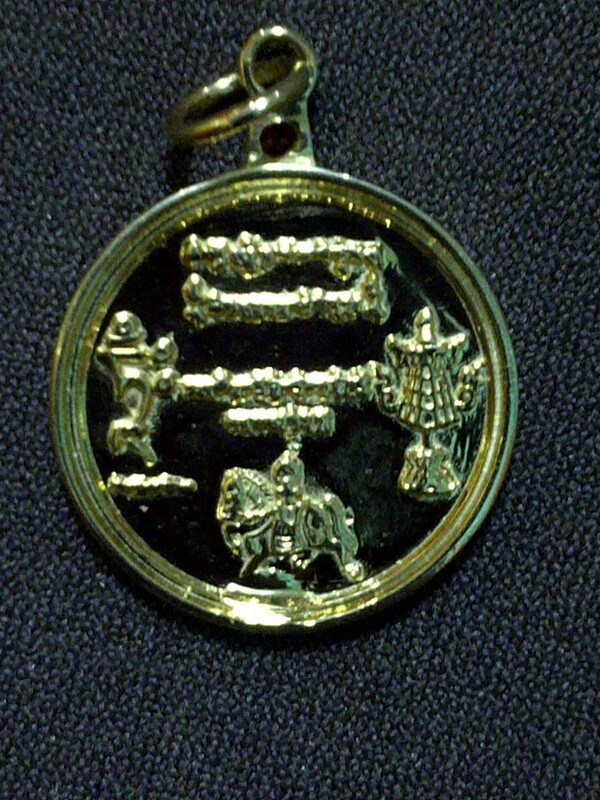 The back side of the WISH FULFILLING AND BUDDHA MANTRA BLESSING PENDANT has the images of the Victory Banner, Lung-Ta or Windhorse, the seed syllable of the Goddess Tara – TAM, and the symbolic script of the MEDICINE BUDDHA MANTRA, WISH FULFILLING MANTRA, and the NEGATIVE KARMA CLEANSING MANTRA. 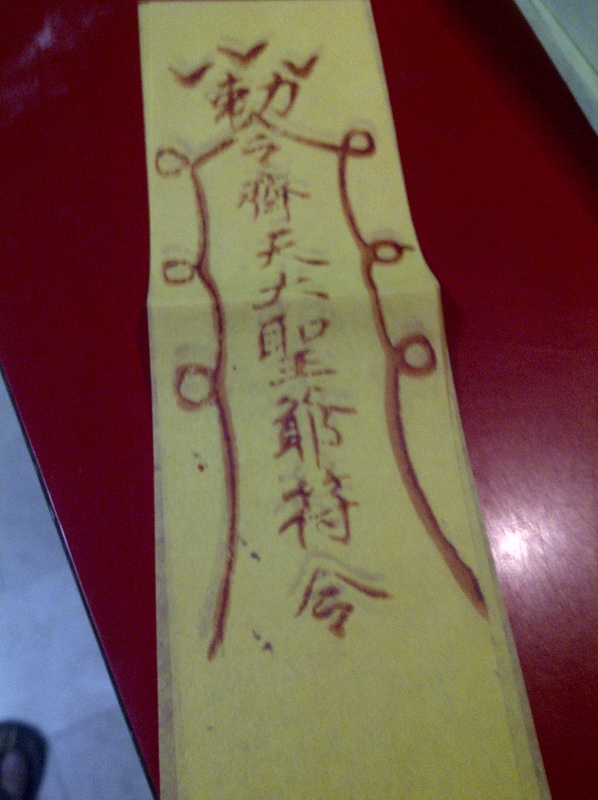 CA’s mom requested for the WISH FULFILLING AND BUDDHA’S BLESSING MANTRA PENDANT, and gave it as a gift to CA. CA who lightly believes in Feng Shui decided to try it. She wants her father’s forgiveness, who is still not talking to her. She wants a financially rewarding job and she wants KT back! Almost a year after CA got the pendant from her mom, they called me again to share with me that everything is now okay with CA. The very first wish that was fulfilled by the WISH FULFILLING AND BUDDHA’S BLESSING MANTRA PENDANT was her father’s forgiveness, and then she met a former boss who hired her again to give her a chance because she knows how CA works before KT. Did KT went back to CA? As CA wished for KT to go back to her, she got her wish. However, they’re not together, because when KT asked for a second chance, it was the only thing that gave CA closure. It was the validation that she no longer loves KT and can live without him! By the way, CA is now dating another guy. A childhood friend. A friend called me the other day asking for help! She said that her day has started really bad and that half way thru the day it’s proving to be really bad. There has been a series of minor problems which taken as a whole is stressing her out. She’s asking as to what she can do. Told her to get a rock salt and simply put it in her wallet or pocket. Apparently, she’s on the road and getting a rock salt will delay her to her next meeting and will only add to her stress, not to mention Metro Manila traffic is really bad and is stressing her. Well, I told her to sing a happy song. Feel it and sing it! Guess what, she called me again at the end of the day and told me that it worked. While she was tired the rest of the day has proven to be a good one. Some may say its coincidence? Maybe, but it wouldn’t hurt to do just that. 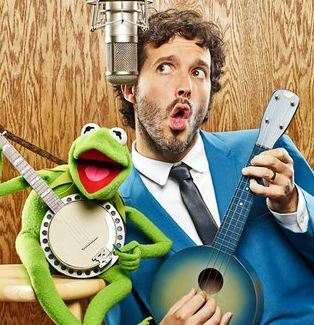 At the very least, singing a happy song may make you feel better!!! Barely 12 hours after I’ve written about THE FOUR DHARMAKAYA RELIC MANTRAS, which we made into an amulet to help feed monks, several people has since left a comment and emailed me to request for the amulet. There are 2 people who are requesting for 15 pieces! Again, I’m a little overwhelmed and amazed as to how fast people respond to my blogs. But maybe I shouldn’t be surprise, right? Anyway, upon writing about the FOUR DHARMAKAYA RELIC MANTRAS a friend from Singapore called me. He was a little ecstatic about the fact that I was given the opportunity to write about THE FOUR DHARMAKAYA RELIC MANTRAS. He then proceeded to tell me his experience about having a FOUR DHARMAKAYA RELIC MANTRAS that was blessed by a lama or a monk. According to JG, he got his FOUR DHARMAKAYA RELIC MANTRAS at a time when he was really down. He was only 23 years old then and recently lost his father because of a heart attack. They were 3 in the family but so far he’s the only who has finished school so the running of the family business was put on his shoulder. However, since they’re well off and he’s still young, he never fore seen a future without his father, at least, not so soon. 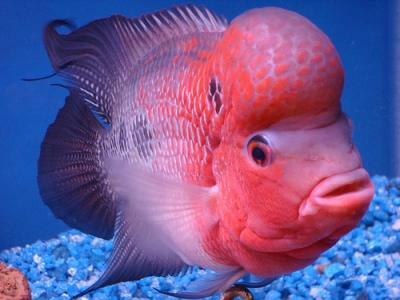 Also, he had lived a carefree life and never expected to run their business. As expected with most stories like this, the business started to lose money, until one day their accountant told them that they might have to close down their business. What aggravated the problem was the fact that some of the funds were misappropriated by his father’s brother, his uncle, who helped in the business!!! Her mother wanted to help, but like most Chinese woman her age, at least at that time, women are mostly illiterate. Out of depression, he went to a temple to ask for Kuan Yin’s help. He said he didn’t even notice that he was crying, until an elderly woman tapped his shoulder to ask whether she could help her. He cried out his heartaches to the elderly woman. The woman convince JG to go to the head monk of the temple, and told her even the monk sees that he’s deserving he’ll give him an amulet that may help him. The woman then told her that she got the same thing from the monk at a time that she’s not sure as to how her life is going to turn out. JG hesitated but realized that he got nothing to lose. He approached the monk and asked for some blessing and told the monk his woes. The monk brought out a small yellow paper, blesses it, rolled it and gave it to him. It was JG’s very first FOUR DHARMAKAYA RELIC MANTRAS! Well, he lost their business, but it’s not necessarily a bad thing, because he soon was able to get a good job, do what he like doing and after a few years he had his own business. He helped sent his siblings to school. They now has convenience in life. JG said that he’s just happy that more people will now have access to THE FOUR DHARMAKAYA RELIC MANTRAS! 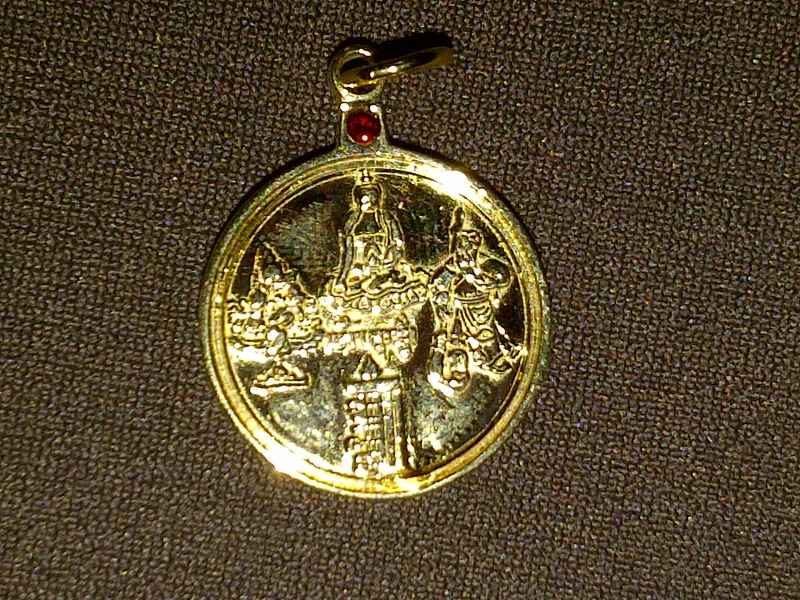 A copy of the LAMA ATISHA PROTECTION AMULET. 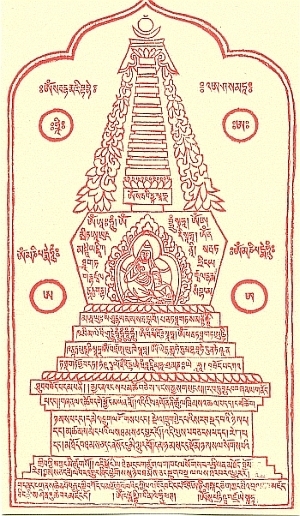 Another modern copy of the LAMA ATISHA PROTECTION AMULET. 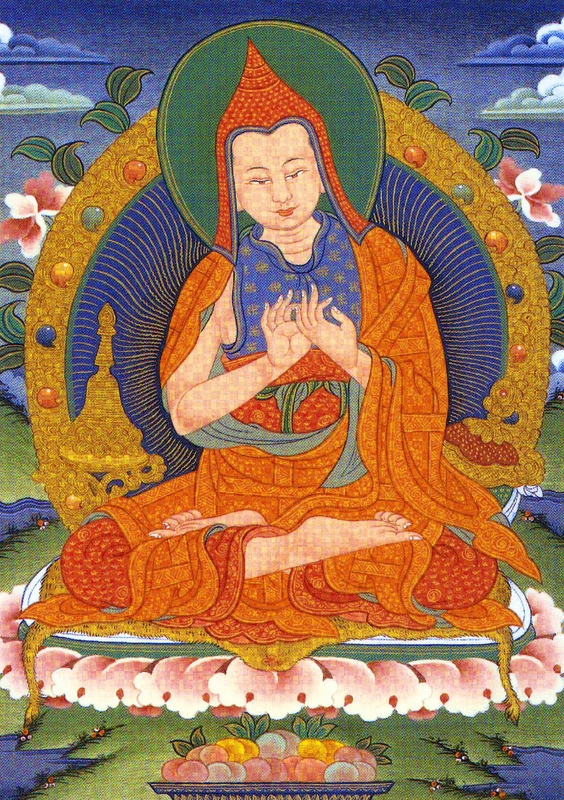 A Thangka image of Lama Atisha.